UEFI backup and MFT backup allow saving and restoring a structure of a bootable drive or a partition, including file records and boot components. 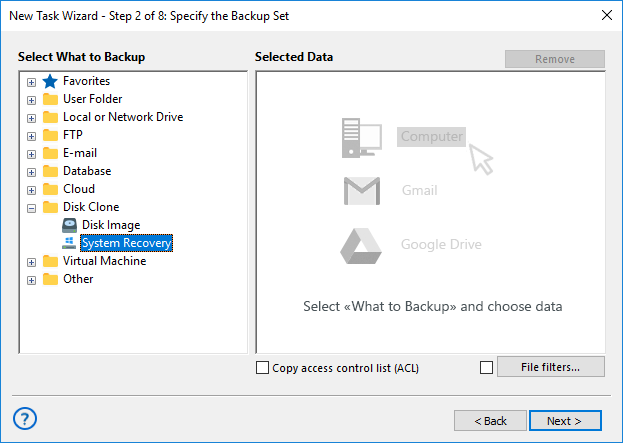 Handy Backup saves both MFT and UEFI data when recording a disk image through either Drive Image or System Recovery component. MFT is a Master File Table, the main component of non-UEFI drive data structure. Along with MBR (Master Boot Record), the MFT allocates all data describing files on a particular drive or partition. Starting from Windows 8, the UEFI replaces MBR, and the GPT replaces MFT on newer drives. UEFI is a modern, advanced boot technique replacing the old Legacy boot based on MBR and MFT. All modern OS including Mac OS X, Linux and Windows use UEFI to make a bootable volume. UEFI replaces Legacy mode, not expands it. Therefore, we need new methods to backup UEFI. How to Create a MFT or UEFI Backup Image? The answer is simple: UEFI and MFT backup requires a duplicating, low-level hard drive backup technique (such as provided by the dd data duplicating utility). Handy Backup contains instruments for this operation, allowing precise MFT and UEFI backup and restore actions. How to Backup UEFI Disk or Partition in Handy Backup? Most data-copying programs require some special approach to back up UEFI data. In case of Handy Backup, this is no need to any extra efforts. Just select a “System Recovery” instrument on a Step 2 of any backup task, and the software will automatically copy UEFI data from the drive. How to Restore or Repair Lost UEFI Data? You will restore the UEFI data structure when restoring the system drive image, along with any other data kept on the drive. This is no point for dedicated UEFI data restoration instead of total disk repairing, as when some peril damages UEFI data, it almost surely damages some other drive information. All said about UEFI backup and restore is true for older Legacy-based drives with MFT and MBR, such as a typical Windows 7 or earlier disk partitions using NTFS file system. Handy Backup just creates and restores perfect copies of these drives, serving well for both UEFI and MFT disks. Handy Backup saves all components of MFT structure, including $MFT main record and its $MFTmirr technical copy, as well as log file and other special data structures. The Professional edition for a single computer contains tools for disk imaging (including MFT and UEFI backup) just out of the box. Free 30-days trial version! “Hot” job mode. Drive backup (including saving a system drive) requires no stopping any work. Perfect scheduling. 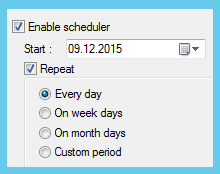 You can plan your hard drive backup for any time or by an important event. Versioning and stamping. You can store some versions of a disk image, marked by timestamps. Dedicated restoration utility. A HBDR utility, free for customers, restores any bootable image. These and many other features turn Handy Backup into an excellent MFT and UEFI backup software. Try Handy Backup to backup UEFI or MFT drives on your machine! 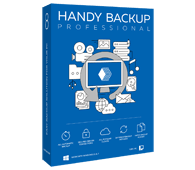 Download and install a fully functional 30-day trial version just now, to get a personal experience with Handy Backup!